An exhaust system is responsible for removing fumes from an engine. Nowadays exhaust systems are more complex than they used to be. There are some exhaust system spare parts that are especially susceptible to damage. But should they be always replaced by original parts? Exhaust fitting accessories can be successfully delivered by local manufacturers. The work of the exhaust system is mainly combustion of fuel. A car moves on thanks to a series of explosions. The exhaust system is responsible for reducing noise, fuel gas discharge and fumes cleaning. It is built mainly from such exhaust fitting accessories like pipes, sensors and filters. 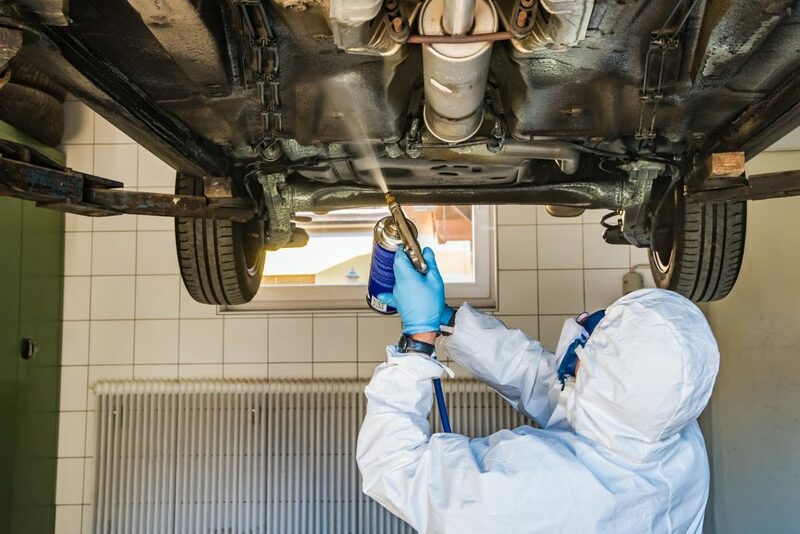 The only visible part of the exhaust system is an exhaust pipe – the rest is hidden deep inside a car. 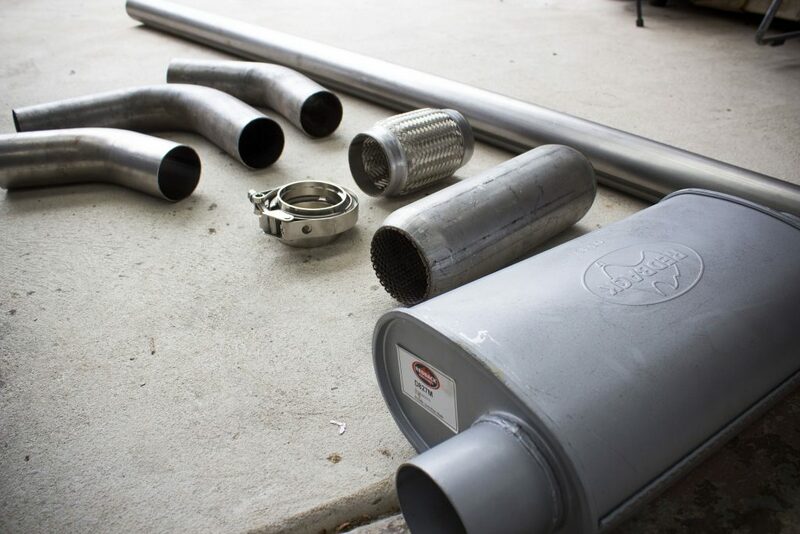 A typical exhaust system consists of a silencer, an exhaust manifold and a catalytic converter. The silencer is built from pipes joined to the engine by a connecting pipe. In some cars, there can be more than one silencer. It absorbs and reduces noise resulting from engine operation. The exhaust manifold resembles a system of pipes joined together. It is linked with the engine. It collects fumes from cylinders to transport them to the catalytic converter. Inside exhaust manifold, a lambda probe can be placed, also called a lambda sensor. It is responsible for an exhaust composition test. The main task of a catalytic converter is to neutralize exhaust. Thanks to its work fumes emitted from the exhaust pipe are not harmful to the environment. The most obvious problems resulting from exhaust system failure are noise and an intense smell of fumes. But there may also be invisible defects. That is what makes regular technical crucial. Moisture has a negative effect on silencers. In result, they usually rust and pierce. The damaged silencer can be repaired, for instance, welded, or exchanged. But not only a silencer pipe can be destroyed, but also clamps and rubber elements holding the silencer at the chassis. In that case, the silencer pipe bumps against the chassis and sometimes it can even break away. High temperatures may cause the exhaust manifold to crack. It can be manifested by a sighing sound heard when the engine enters high revolutions. Such damages can be successfully repaired but in some cases, the exhaust manifold exchange may be necessary. Another frequent fault is a leak between the exhaust manifold and the rest of the exhaust system. The catalytic converter is mainly exposed to pollution. It can be also damaged by using low-quality fuel. Soot particles that settle on the converter can be easily removed by dynamic car driving. But if it does not work, the device should be replaced by a new one. Where to repair an exhaust system? It is often said that a car should be repaired only in an authorized car service. Maybe it is a better solution for brand-new cars. Their owners have then a guarantee that a damaged part is exchanged for equally valuable one and that it is done in a fully professionally way. What can stop you from such a solution are high costs. Unfortunately, the authorized car service repairs are really expensive. And in some cases, it is not reasonable to overpay. With older cars, it is much better to get a working vehicle with cheaper equivalents. Unoriginal exhaust fitting accessories can prove to be equally good. That is why we sometimes decide to choose a garage instead of an authorized car service. Cheaper exhaust system components – what can be replaced? The answer is simple: everything! Starting from bolts, ending with catalytic converters. However, there is always a group of people who are afraid of replacing more complex components with its cheaper equivalents. But even them cannot deny that there are some spare parts that may be produced by anyone and still be of sufficient quality. Let’s take for example clamps or gaskets. Clamps are metal rings with screws. They can be used to join together two ends of a pipe. They are also useful when changing the refrigerant fluid. Clamps are a very good solution when replacing a fuel filter. In a garage or in a private car, they appear to be quite a desirable tool. And it is quite obvious that producing a good clamp is not very complicated. Any reliable manufacturer can deliver such a spare part at a reasonable price. Gaskets are responsible for tightness of more complex devices especially at points where two elements are joint together. They can be found for example in the engine. They are particularly vulnerable to the influence of extremely high temperatures and continuous pressure changes. And it is sometimes better to have such a gasket made by a small experienced manufacturer (especially by someone who is aware of how the car engine works) than by a big firm. Why? Because he knows where main problems can appear and how to avoid them, in brief: what a perfect gasket means. Undoubtedly, all so-called auxiliary spare parts do not need to be bought at an authorized car service. Every proven car mechanic can recommend us the manufacturer of bolts, rings or pipe connectors. And we can also check his reliability by installing in our own car a more complex spare part. Why not try one of his DPF filters? If everything goes right, we can gain a supplier of high-quality economical solutions.